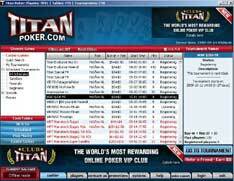 Win All Poker have added a $200 Titan freeroll to the online freeroll tournaments page. 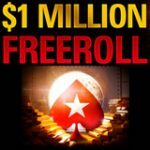 The freeroll tourney will consist of a limited field with a maximum of 150 players making it easier to finish in the money. 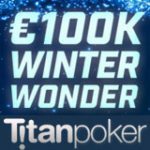 To get free entry into our Titan Poker Freeroll simply download TitanPoker from our site (and only from our site as the download is tracked) then create a new Titan Poker account, alternatively existing players that have used WAP as their TitanPoker bonus code would also be granted free entry into the event. 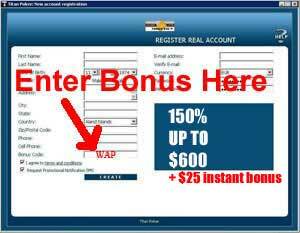 To obtain free entry into the freeroll, once completing the steps above send an email with your user name and TRR number for verification purposes. 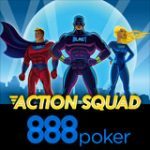 You can also join our Freeroll Club by signing up to our newsletter for any upcoming poker events. 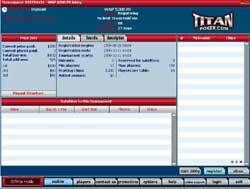 Enter our no deposit Titan poker $200 freeroll tournament and play for your share of the $200 prize pool in October 2009. 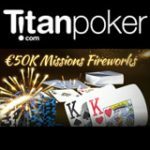 Make sure you download Titan Poker from our download links to qualify for your free tournament entry which requires no deposit. If you are new to Titan Poker sign up by downloading the software and entering WAP as the Titan Poker bonus code when creating a real account. 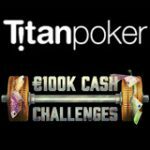 Register for a real account so your winnings can be cashed out, you don't need to deposit cash to enter this Titan freeroll. 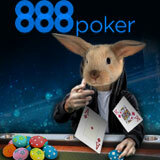 Email newsletter@winallpoker.com with your TTR# and nick name. 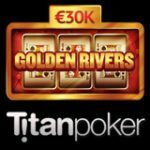 This Titan freeroll tournament is free to join with no deposit needed when signing up for a new Titan Poker account. However it is 150 player limited private freeroll so sign up today get your freeroll entry for free. Past Players who have signed up for a Titan Poker account using WAP bonus code when creating their account will also qualify just send us your TTR number and user name to newsletter@winallpoker.com so we can verify your account and add you to the entrants list. 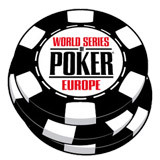 The Win All Poker $200 freeroll tournament can be found in the TitanPoker lobby, by clicking on Scheduled Tournaments then All Scheduled scroll through the scheduled events and locate the tournament named WAP $200 FR which takes place on 11-10-2009 @ 14:00 GMT for more details check the online freeroll tournaments page.